To be honest, I had expected to like American Gods more than I did. Not that I didn't enjoy it, it was just that I had heard so many great things about it, and it involved my love of mythology and folklore, and I think maybe my expectations were therefore set too high. 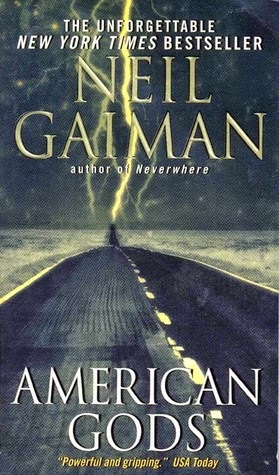 That said, I enjoyed the way Gaiman interconnected the different world mythologies, and I enjoyed the ending. I guessed well in advance who Mr World was, but the fun wait for the reveal was nearly as good as not knowing who it would be. I read this knowing they are in the process of making a TV series and, as I read, I thought many films would work well in a visual medium, so perhaps I will appreciate it more on the screen. Another possible influence on my review is the fact I am currently writing my own book based in mythology. My connection to my own interpretation of the stories may well have clouded my ability to appreciate this one fully. Given that, I may come back and read this again in the future to see if I get more out of it then. For now, it is still 3.5 - 4 stars out of 5.